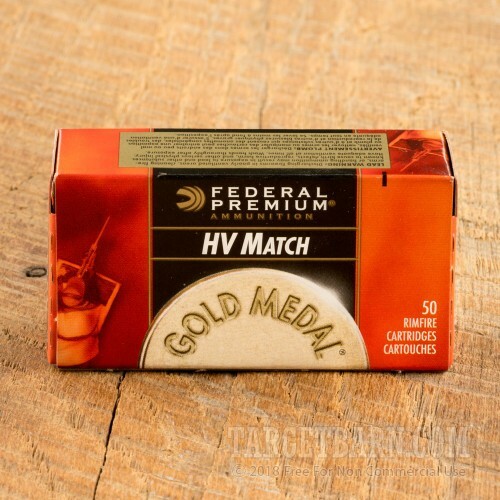 Federal's Gold Medal 22LR match grade ammunition is for those of you who are serious about accuracy and competition shooting. These rounds are made to high quality standards and are some of the best rimfire target ammunition available. 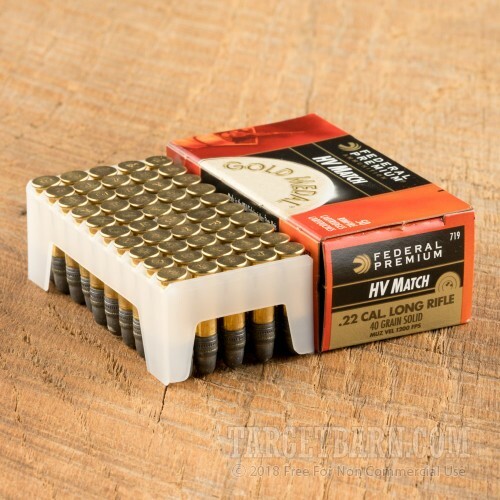 Each round has a 40 grain lead round nose bullet and a muzzle velocity of 1,200 feet per second. 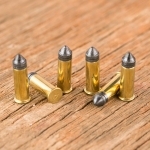 That velocity will drop to around 925 feet per second by the time the bullet has traveled 100 yards. 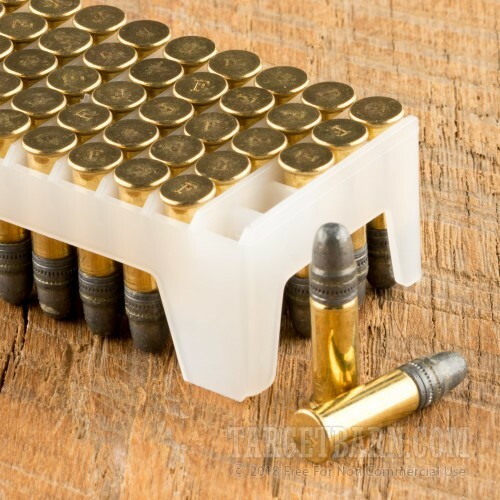 Order your brick of this great ammo, and good luck at the range!